John Jordan has served as Chief Executive Officer since 2005. He acts as general manager, working closely with every department on day-to-day operations. John graduated from Occidental College in Los Angeles with an economics degree in 1995 and then continued his education at Empire College School of Law and the University of San Francisco, receiving both his Juris Doctor and Master of Business Administration in 2002. Commissioned as an officer in the Navy Reserves in 2000, John rose to the rank of Commander in the Naval Intelligence community. After passing the California Bar Examination in December 2002, John joined the Santa Rosa-based law firm where he’d worked as a clerk in law school then opened his own firm in Sonoma County in 2004. In 2005, John stepped away from his law practice to run Jordan. John moved to Jordan Estate in 2006, building a hilltop home near the winery. 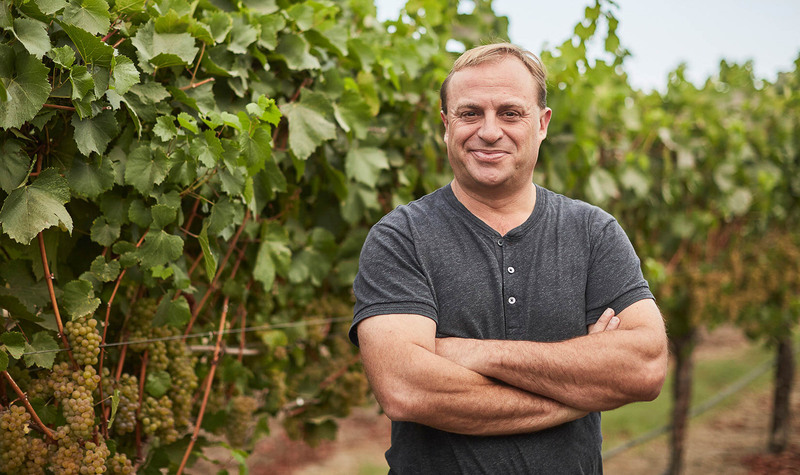 A second-generation vintner, John has utilized his business acumen and philosophy to reenergize the winery. He has built upon Jordan’s brand equity by fostering a culture of excellence where passionate people are encouraged to perfect their respective crafts every day. From energy-efficient roofs, solar arrays and water recycling to fruit sourcing, extended bottle aging, soil-mapping studies, iPad integration and the overall hospitality experience, John has elevated the winery’s relentless commitment to quality in every aspect of the business. In 2010, John co-founded a technology company that specializes in digital wine list solutions for restaurants, including the Tastevin app. He also created the John Jordan Foundation in 2012—a private, charitable foundation focused on income stability and educational attainment, which funds projects in elementary schools for literacy and technology, as well as micro-loan programs for low-income families to launch small businesses. An interest in public policy led John to join the Hoover Institute at Stanford University, where he has served on the Board of Overseers since 2010. In 2014, Jordan began writing op-ed pieces about public policy and economics for The Daily Caller, Independent Journal Review and Wall Street Journal. Since 2017, Jordan has been a regular guest analyst on international television networks, including Sky News, i24, Fox News, ARD and Al Jazeera, providing commentary on topics, such as the American politics, economics, national security and aviation. Aviation has played a part in John’s life since he was a teenager. An avid and current pilot, John holds an Airline Transport Pilot Certificate with Gulfstream and Citation type ratings as well as a Flight Instructor Certificate. He also has also been a part-time professor at the Empire College School of Law, and speaks German and Russian. He shares his hillside home with his dogs and when not working, John enjoys flying his Piper Cub and fishing for bass on Jordan lake.